A bigger version of our PeaPod, the KidCo® PeaPod Plus offers all the same great features and it just a little bigger – for children 1 to 5 years of age. 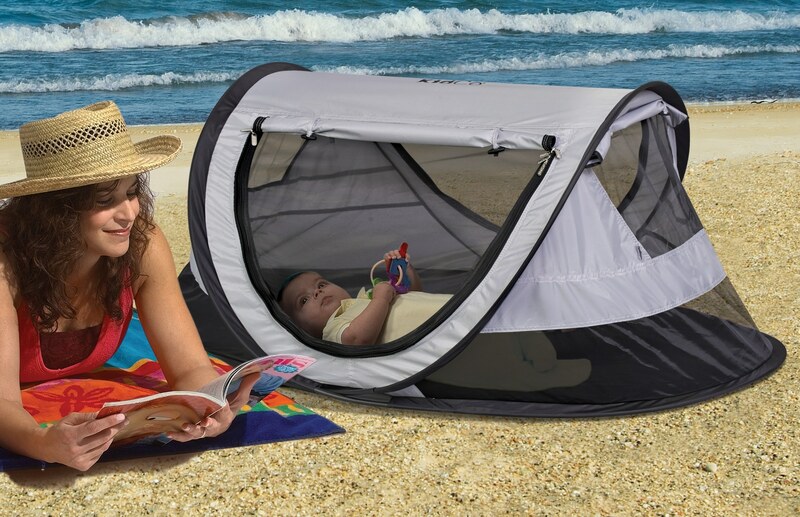 Great for camping, picnics and all your outdoor travels. Light weight at just 3 ½ pounds, the PeaPod Plus unfolds and is ready to use for your little one’s nap time during your outdoor adventures. Perfect take a long for sleep overs and hotel travel. Whether your adventures include the great outdoors, or a weekend at home, your little one will sleep comfortable in their PeaPod Plus from KidCo®! Available in Kiwi, Midnight and Camo. Our son (3) thinks it is fun to sleep in his 'tent' when going to the in-laws. We will also be taking it to Mexico for him to sleep in as he is not a good 'big bed' sleeper. A bit noisy when he moved around due to the material but it packs well (once you figure out how to fold it back up!!!! ).